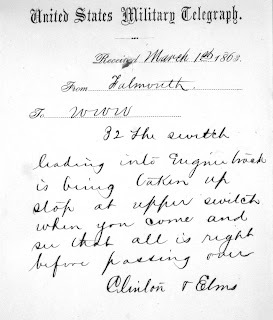 In reviewing the copies of the train orders I copied from the National Archives, I noticed the following message dated March 1, 1863. 32 the switch leading to engine track is being taken up. Stop at upper switch when you come and see that all is right before passing over. From other messages I know there was a water tank or source at Falmouth as several train orders mention getting water and wood there. 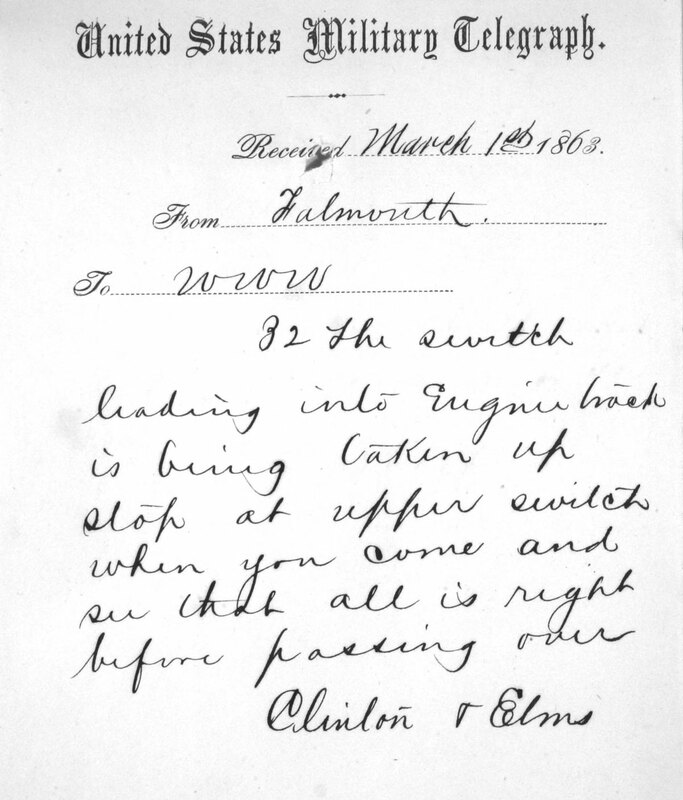 Other messages mentioned a depot at Falmouth. I also know that the original RF&P station was burned. J.B. Clough was planning on putting in a wye at Falmouth, but they never got to it. One by one the pieces come together.